We are proud to announce that Ex-Model will be made available to viewers in the United States, through Vessel, from this Friday May 27th. 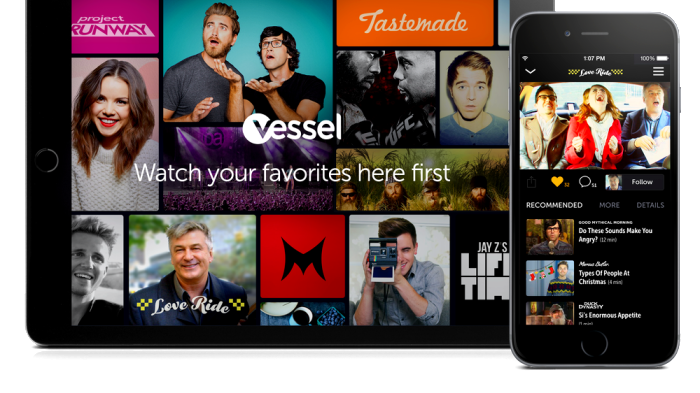 If you don’t know Vessel yet, it’s the new subscription video-on-demand service created by ex-Hulu founders, CEO Jason Kilar and CTO Richard Tom. Vessel is dedicated to premium video contents from digital creators – especially YouTube celebrities but also traditional producers eager to enter the digital space. The initial concept was for YouTubers to offer ‘early access’ for 72 hours to their most dedicated fans, willing to pay a premium. Also, as the service is aimed at providing creators with an additional stream of revenues, the videos available are necessarily more professional on average than on YouTube. However, it is also an amazing platform for webseries creators who don’t want their productions to be diluted on YouTube and treat their creations as premium programming, like us. This is why we are glad Vessel has offered us the opportunity to work with them. You will therefore be able to find new episodes of Ex-Model, once a week, on our Vessel channel from Friday 27 May!